Happy (belated) Armed Forces Day to all SigEps Patriots serving in the U.S. military at home and around the world! The Day was created in 1949 to honor Americans serving in the five U.S. military branches – the Army, Navy, Marines, Air Force and Coast Guard – following the consolidation of the military services in the Department of Defense (under the first Secretary of Defense, World War I Veteran and NH Alpha Brother James V. Forrestal). You can read more about Armed Forces Day at www.defense.gov/afd. Mexican Campaign Veteran and VA Theta Brother Leonard T. Gerow was promoted to Captain, U.S. Army on this date. On this date, the French government showed their appreciation for the accomplishments of World War I Veteran and NY Beta Brother (then) Second Lieutenant James A. Meissner, U.S. Army Air Service. 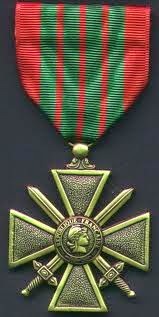 Brother Meissner shot down an enemy airplane over Foret De La Rappe, France, and for his heroic actions they awarded him their medal for bravery, known as the Croix de Guerre. PA Delta Brother Charles E. Wiegner, Jr. of the University of Pennsylvania Class of 1937 joined the U.S. Army Air Corps on this date. Entering the service of the U.S. Army Air Corps Dental Corps on this date was MT Alpha Brother R. K. Schroeder, Class of 1934 at the University of Montana. It was a busy week for patriotic SigEps as DC Alpha Brother Vananda J. Meyl of the George Washington University Class of 1926 entered the service of the U.S. Army Corps of Engineers. Joining the Navy on this date was MO Alpha Brother John M. McNerney of the University of Missouri Class of 1929. On this date, aircraft from the 418th Squadron, 100th Bomber Group, 8th Air Force were part of the attack force which bombed the massive oil refinery at Brux, Czechoslovakia. World War II Veteran and PA Kappa Brother Second Lieutenant Dale Richard Wynn, U.S. Army Air Corps was a navigator aboard a B-17G Flying Fortress on their 12th mission. Their aircraft – nicknamed “Rosies Riveters” – was severely damaged during the bombardment, and while returning to their base at RAF Horham in England the crew had to bail out near Niederbachheim, Germany. They were captured by farmers and police. As a prisoner of war, Dale was initially sent along with his crewmates to the Armed Forces Land Guard Battalion 786 in St. Goarshausen, before being transferred three days later to Dulag Luft in Oberursel near Frankfurt. 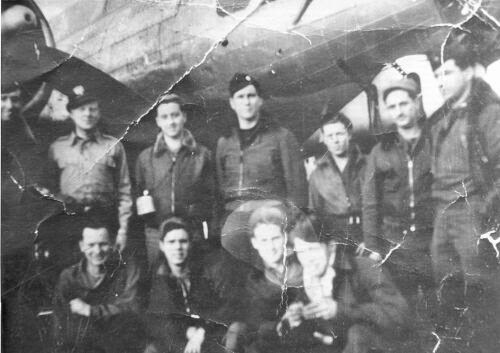 From there, Brother Wynn would be sent to Stalag Luft 3, Sagan-Silesia, Bavaria, Germany, and was liberated on 19 MAY 1945. On this date, World War II Veteran and MO Alpha Brother Captain Jack H. Blair, III, U.S. Army was released from active duty service. Brother Blair served in five campaigns with the 503rd Parachute Regiment during 40 months overseas in the southwest Pacific. His awards and achievements include the Bronze Star Medal, Purple Heart with oak leaf cluster (in lieu of second award), Air Medal and Combat Infantry Badge. World War II Veteran and Florida Alpha Brother Major J. Joseph Carraher, U.S. Army Air Corps was released from the service on this date after being deployed to the African and Asiatic-Pacific theaters. On this date, USS Hissem (DE-400) – named in honor of World War II Veteran and Navy Cross Recipient for his service at the Battle of Midway, IL Alpha Brother Ensign Joseph Hissem, U.S. Navy Reserve – was decommissioned a second and final time. Hissem was commissioned and began her service in January 1944. She received one battle star for World War II service. Vice Admiral Elmo R. Zumwalt, Jr., U.S. Navy was awarded the Navy Distinguished Service Medal – gold star in lieu of second award – on this date upon being relieved as Commander, Naval Forces Vietnam. Admiral Zumwalt was initiated as a renaissance brother by the CT Alpha chapter after his retirement from the Navy. On this date, AL Alpha Brother Wallace Jack Paschal II enlisted in the U.S. Army National Guard (Alabama) as a draftsman. VT Gamma Brother Michael D. Dubie was commissioned a Second Lieutenant in the U.S. Air National Guard (Vermont) on this date. U.S. Army Air Corps World War II Veteran and NY Beta Brother Frederick C. Hannahs died on this date in Tiburon, California. A 1944 graduate of Cornell University, Fred trained pilots to fly bombers during the war as part of the Western Flying Training Command. Brother Hannahs was a volunteer firefighter and retired stockbroker who was active in civic and community affairs. 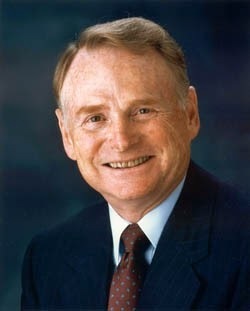 U.S. Navy World War II Veteran, SigEp Citation Recipient, Former Ford Chairman & CEO and IL Gamma Founding Father Harold Arthur “Red” Poling, 86, died on this date in Pacific Grove, California. In July 1943, at the age of 17 and just two weeks after graduating from high school, Red enlisted in the Navy and served as an aviation cadet before being discharged in October 1945 following an injury. In 1993, the United States Navy Memorial presented Brother Poling the Lone Sailor Award adding him to an impressive list of Navy veterans who have distinguished themselves by drawing upon their military experience to become successful in their subsequent careers and lives, while exemplifying the core values of Honor, Courage and Commitment. * Earlier this week, Operation Iraqi Freedom & Operation Enduring Freedom Veteran and FL Beta Brother Captain Nate Davis, U.S. Army graduated from the Logistics Captains Career Course as the Distinguished Honor Graduate. For his hard work and commitment, Brother Davis was awarded the Army Achievement Medal (oak leaf cluster in lieu of subsequent award - he wouldn't tell us how many AAM's he has). Nate's next assignment while be at Joint Base Lewis-McChord, WA. * PA Gamma Brother First Lieutenant Jamie Derr, U.S. Marine Corps celebrated his third year in the Corps on 14 MAY. The day was also cause for celebration as Jamie learned he was selected for promotion to Captain! * On 15 MAY, U.S. Army Operation Enduring Freedom Veteran and TN Theta Brother Jake Pennington heard the word he wanted hear, "Yes!" when he asked Ms. Regan Woodhall if she would marry him. Best of luck to Jake and Regan! * On Friday, FL Gamma Brother James League-Pascual was officially promoted to Major, U.S. Army! * More SigEp Patriots commissioned as Second Lieutenants in the U.S. Army! Yesterday, CA Upsilon Brother Kenyatta Smith and NY Rho Brother Rich Dolan received their bronze bars. Friday, DC Alpha Brother Danny Ceisler celebrated his graduation and commissioning. Brothers Smith and Ceisler will be going to the Basic Officer Leadership Course (BOLC) at Fort Huachuca, AZ. Earlier this week, NY Chi Brother Tanner Jones was also commissioned, and on 09 MAY, TX Theta SigEp Patriot brothers Justin Scott & Jacob Kjar were celebrating becoming Second Lieutenants. Congratulations to all our brothers on their recent success! We know more SigEp Patriots were recently commissioned and we would love to hear from you! * This past week, the names and other information for 63 SigEp Patriots was recorded in the SPP archives. Keep sharing with us because we are very interested in your stories, accomplishments and successes. * SigEps Who Serve - the official SPP Facebook group - now numbers 703 Brothers with the addition of OK Alpha Brother Captain Eric Adkins, U.S. Air Force! * On Twitter, @SigEpsWhoServe now has 50 followers. Don't worry, we don't tweet much.